Work with the CyCan team to develop a custom formula. CyCan can customize a sensational package to place your product a step above the rest. Quality Aerosols offers a complete line of quality aerosol adhesives, cleaners and many other products. A product line developed to supply the Quality Aerosols distributor with quality choices in aerosol adhesives, cleaners and many other products. CyCan Industries, Where Quality & Service are Number 1! What is an aerosol canister? A canister is a large aerosol system requiring a spray gun and hose to deliver the contents from the canister. The spray gun allows you to adjust the width of the spray pattern in order to cover large or small areas. Does CyCan formulate and blend their products? Yes, CyCan has a vast library of formulas ranging from liquid hand soap to high temperature, high strength contact adhesives available for private label. Our name is not important to your customers, your name is! 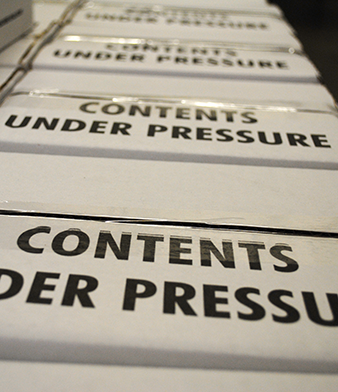 What type of contract packaging services do you offer? CyCan packages chemicals in aerosol, liquid or cylinder delivery systems. We can use your formula or ours. We can use your raw materials or ours to produce whatever you may need. What type of equipment does CyCan have to provide these services? CyCan has automated filling and gassing lines for aerosol, liquid and our cylinder delivery system. Our equipment ensures precise filling and gassing each and every time. Would any discussions be held in confidence? Absolutely! We at CyCan greatly respects the privacy of preliminary discussions and through out the steps required to create, develop and maintain a sound business relationship.
" I will not run my cars without coating them with Quality Aerosols Clean & Shine. This product gives me a competitive edge by keeping his car clean under the harshest environments." Brite Lites is a "real winner" everyone who purchased this product raves about how easy it is to use. I've used many of the Quality Aerosols products & they all have exceeded my expectations!The Speed Clay took out the damage to my paint job and save me a new paint job! The Clean & Shine product removes the rubber & dirt without hours by a professional detailer.Thanks for making my job easier!
" I purchased the Quality Aerosols Carpet & Upholstery Cleaner for my '38 Buick & what an amazing job this product did! Didn't even need to brush in like other cleaners on the market. It was cleaner than I could ever have imagined! I would recommend this product to anyone." " I've been using Quality Aerosols Glass & Plastic Cleaner on my classic car & I'll tell you, it works fantastic! I have an '62 Olds F-85 Cutlass & it does a great job. I love the product & recommend to all my Dixie Olds members.
" I think that the Brite Lites is one of the best products of the times. Of all the products that I have used in the detail industry that say they will restore the headlight to the original look, this product hands down does exactly what is says it will do. Within 10 minutes I had 2 set of headlights looking brand new!!!! I love this product!" Scott - Store mgr. Colours, INC.
CyCan did an excellent job packaging our products for us. I cannot say enough about the professionalism of the entire team there.